Chandigarh November 19—The Haryana Director General of Police, Mr S.N Vashisth, disclosed here today that the Satlok Ahram had handed over bodies of four persons to the police in morning. They are Savita (31), resident of Roganpur, Lakhpat Colony, Mitapur, New Delhi; Santosh (45), resident of Bhagwatipur, District Rohtak, Malkiat Kuar (50), resident of Shekhpura Dhuri, Sangrur, Punjab, and Rajbala (70) of Bijnaur. He said that 20-year-old Rajni, resident of Jakhora, district Lalitpur of UP, came out of the Ashram in serious condition at 4 am today. She was reportedly suffering from heart-valve problem, and was under treatment in UP. 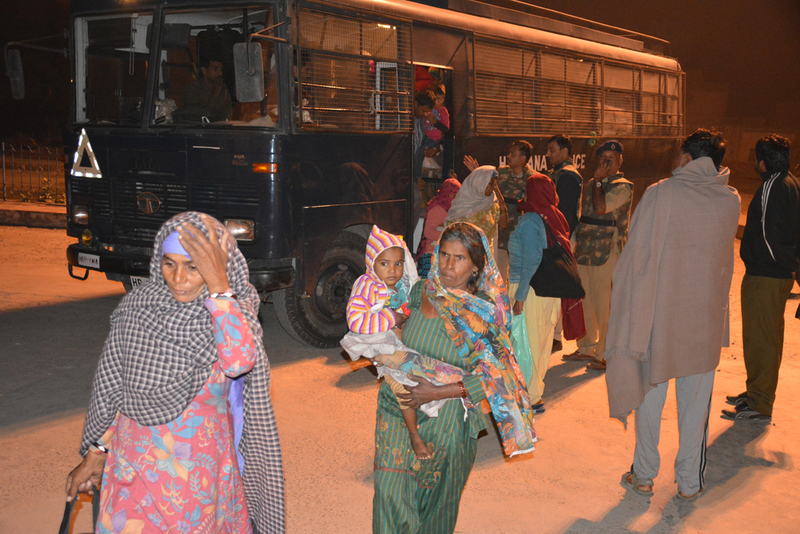 She was immediately taken to the Agroha Medical College where she expired at 8 am. The DGP said that a one-and-a-half-year-old infant of Mava village, District Rewa of Madya Pradesh, expired in Satlok Ashram in the morning. He was reportedly suffering from jaundice since birth. His body has been taken to the Agroha Medical College, he added.